Private equity firm May River Capital has completed its acquisition of US submersible pump provider BJM Pumps LLC. Old Saybrook, Connecticut-headquartered BJM Pumps supplies submersible pumps for demanding applications in industrial and municipal/wastewater environments, and for dewatering in mining, construction, fire-damaged sites and power generation pumping. May River is forming a new Industrial Pump Platform, with BJM Pumps as the first acquisition. Brad Sterner, a member of May River’s Executive Resource Group, will serve as executive chairman of the new Pump Platform as well as interim CEO of BJM Pumps. This is the second May River investment platform involving Sterner, who has previously held leadership roles with Emerson, Danaher, Idex, Rexnord and Colfax. May River Capital is a Chicago-based small market private equity firm focused on industrial growth companies. 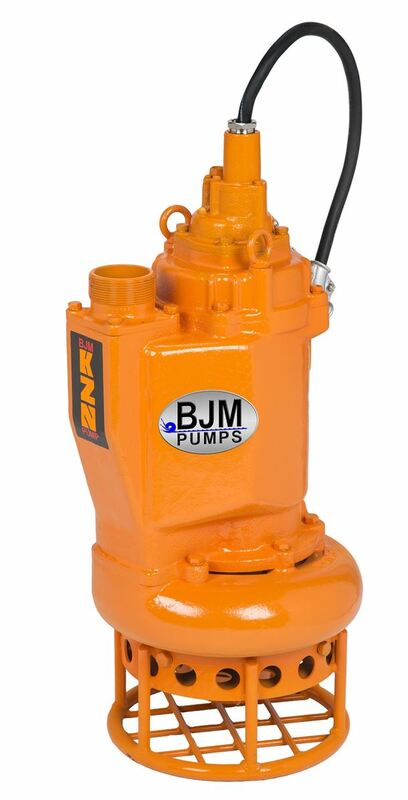 BJM Pumps KZN37 - hard metal submersible slurry pump. After 45 years in the pump industry, BJM Pumps president Ron Woodward retires.